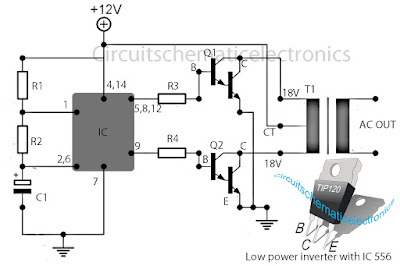 Low power inverter schematic are only use 9 components , one of which IC 556 , TIP120 NPN Darlington transistor. And turns 10 to 16 Vdc into 60 HZ, output 115 V square-wave power to operate ac equipment up to 25 W. In the circuit first ic originally hires as a timer chip m for stabilizatiom oscilator with components R1 and C1 setting frequency oscilator. Then the two transistor driver, drive the transformer push-pull fashion, When one transistor is biased on , the other circuit cut-off . 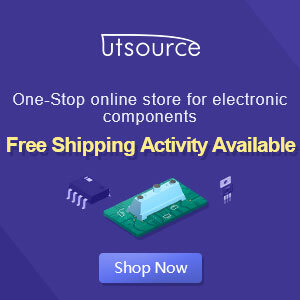 The transformer is a 120V/18Vct unit that is connected backwards, so that it steps the voltage up rather than down. 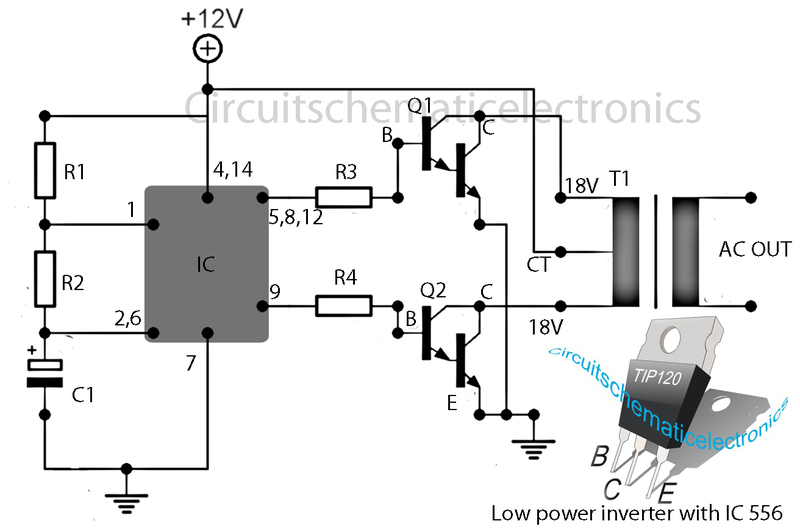 Oscilator circuit operates from about 4 to 16 V for stable output.